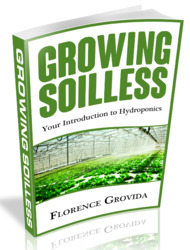 Since tillage promotes germination of many weed species (see Chapter 2), tillage followed by destruction of weed seedlings with minimal further soil disturbance often leads to lower weed density in the crop. This is referred to as the stale seedbed method of planting. The technique is especially useful for providing reduced competition early in the development of small-seeded or slowly establishing crops like onion and carrot. Much recent work has explored application of the technique to soybean, and in this context it is largely used to avoid tillage during late spring on clay soils (Heatherly et al., 1993; Lanie et al., 1993, 1994; Oliver et al., 1993). Usually, removal of the weeds is accomplished with a herbicide, but flaming can also be used. Balsari, Berruto & Ferrero (1994) found that a single flaming four days after irrigation and one day before transplanting lettuce seedlings reduced weed densities by 62% and produced a net income similar to chemical treatment with propyza-mide (pronamide). The false seedbed procedure works in a manner similar to the stale seedbed. In this technique, preparation of a seedbed is followed by one or more superficial cultivations at about one-week intervals prior to planting the crop. This reduces the pool of germinable seeds in the surface soil and can reduce weed density in the crop. Usually the cultivation is kept shallow so that few additional seeds are brought within emergence distance of the surface. Because firming the soil of a prepared seedbed promotes weed emergence (Roberts & Hewson, 1971), the soil should be rolled after all cultivations except the final one before planting. Although the false seedbed procedure is widely used by organic growers (Wookey, 1985; Stopes & Millington, 1991), it has received little scientific study. 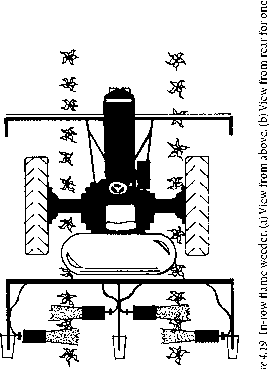 Johnson & Mullinix (1995,1998) found that two shallow passes with a rotary tiller equaled two applications of glyphosate for reducing weed pressure on subsequent peanut crops, and two cultivations before planting were better than glyphosate for weed control in cucumber. In a study on rapeseed in Alberta, Darwent & Smith (1985) compared delayed seeding and preplanting removal of Avenafatua with cultivation or nonresidual herbicides to use of tri-fluralin and early seeding. Although weed density and biomass were statistically lower with trifluralin, control with delayed planting and cultivation was sufficient to give consistently good yields. In contrast, Robinson & Dunham (1956) found no advantage to cultivation prior to seedbed preparation in the production of soybean in Minnesota. Apparently, weed seeds were protected from germination in clods worked up by sweep cultivation of firm soil. The false seedbed technique has several limitations. First, it can only be effective if the soil is warm and moist enough to allow germination of weed seeds. For example, Baumann & Slembrouck (1994) spring-tine harrowed two and three weeks after plowing a grass sod, then one week later prepared a final seedbed and planted carrots. They found no difference in weed density between this treatment and one that was plowed and planted on the same schedule but without the preplant harrowing, probably because the soil was dry and not conducive to seed germination prior to harrowing. A second limitation of the procedure is that the soil is kept bare and loose for an additional period, and this may promote erosion. A third limitation is that yield may be lost if planting is delayed by the preplanting cultivation. A fourth problem is that although cultivations prior to planting may greatly reduce one set of species, if planting is delayed, a new set of species may become physiologically ready to germinate. In this case, weed composition may shift without a change in total abundance. The first and second of these problems should be least in irrigated agriculture, since in these systems soil moisture is controlled by the grower and the land is flat. The third and forth problems are likely to be least in systems where the growing season is long relative to the crop's developmental requirements, and therefore the grower has flexibility with regard to planting date. Despite its limitations, the false seedbed technique has broad applicability.